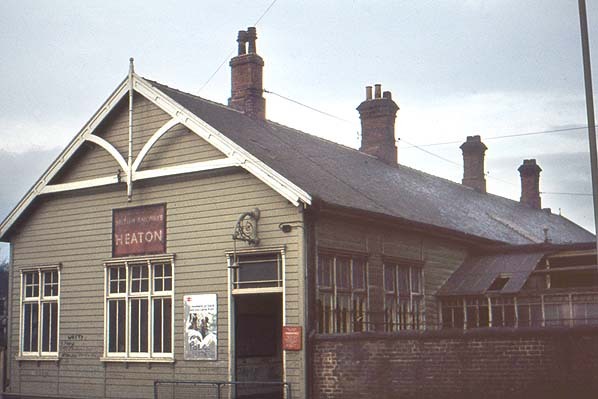 Alan Young told us: You won’t be aware that it was Heaton station that triggered my interest in stations in general. Being brought up on Meldon Terrace, a few minutes from the station (1951-55) it was the first one I ever saw or used. I was taken there frequently to wave to my Uncle Frank who drove the Newcastle – Edinburgh expresses, but I confess to being more interested in the station than the locomotives! My gran had a shop around the corner on Second Avenue. The memories come flooding back ….. and then we moved out to Longbenton in 1955. Les Turnbull mentioned during his recent lecture that the Ridleys forced the rail company to bury the railway line where it ran across their land – which it certainly did: right in front of the hall from one side to the other. I bet they made a lot of money on the deal. Point is: the Ridleys sold Heaton Hall to Potter in 1841 so the railway line was in place before that. That’s another reason they got rid of the place. I wonder if the station was open from day one? And another thing; Queen Vic was so disgusted by sight of Newcastle that she insisted the blinds be lowered when she came through in future. Silly old Moo! Is that right? Love it! 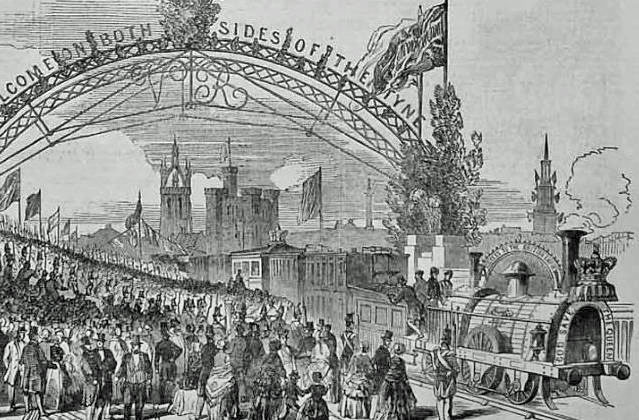 The date of Queen Victoria’s visit in September 1849 must have been the same day she and Prince Albert formally opened the High Level Bridge. According to legend, when the royal train stopped on the bridge, she stayed in the carriage, while Prince Albert gamely stepped onto the parapet to cut a ribbon. 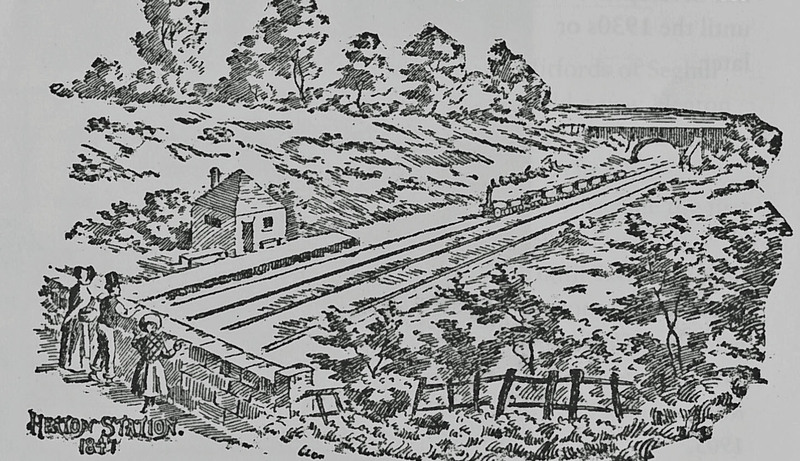 This is the least they could have done, as the bridge was the last link in the chain fir the East Coast main line – before 1849, they’d have had to de-train at Gateshead, cross the river by carriage, and then get on another train at Central Station (which they also “opened” that day in 1849). The story about QV keeping her blinds drawn whenever passing through Newcastle is told so often, it’s probably true, though I read somewhere once that she stopped her train there when passing through in 1854 to survey the damage from the great quayside fire that year. I think that they opened the Central Station the following year. 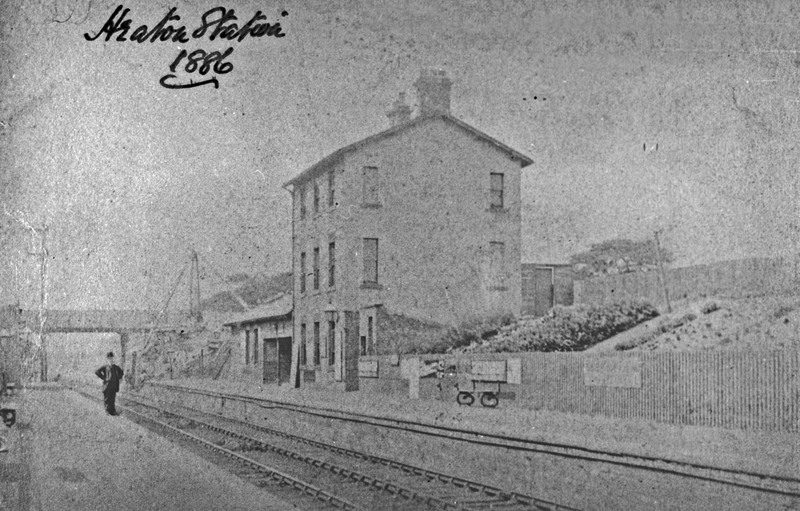 In 1849, the station was a temporary one in Carliol Square. Just past noon on June 21st 1839, two trains: ‘The Wellington’ and ‘The Hotspur’ left the newly opened Ouseburn Railway Viaduct and entered Heaton carrying 800 dignitaries and friends of The North Shields Railway Company from Trafalgar Street Station to have lunch at The New Inn, Tynemouth in celebration of the opening of the bridge. Info courtesy of Sue Bright from her new book ‘Bridging the Ouseburn’. I was brought up on Heaton Park Road, living there from 1950 to 1970. The railway and station were close by and a big part of my childhood. You could watch the trains from an area of rough ground next to the railway bridge, where people walk to and from Morrison’s car park now, or buy a platform ticket for 2d.and watch from the station. As a small child the station could be a bit scary when the northbound expresses pounded through. The station’s design and location seemed to accentuate the noise and vibration. Also, Heaton Station was where we caught the electric train to the Coast for days out. I remember the newstand in the station and a large grandfather clock next to it. The station used to smell of disinfectant and I remember the toilets where horrible. But there was a cute ticket office which issued thick cardboard tickets and a booking office with huge wide wooden counter and, in the Winter, a lovely coal fire. Thank you so much for adding to what many of us know about the station. I wonder what happened to the grandfather clock. 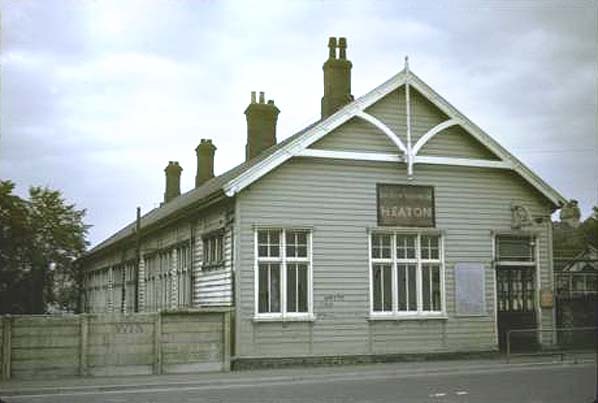 You don’t say whether you still live locally but if you’d be willing to give up an hour of your time, we’d love to interview you about your memories of Heaton before 1970. We can do it in person or by phone. Please email chris.jackson@heatonhistorygroup.org if you think you might be able to help and I can explain further. Heaton Station: the smell of grey wood. Love this. reminds me of Elswick Station. Used to look over the top of the wall to see the steam trains belching smoke. the boy in black and white. ‘The first suburban raikway line in the world’ and first stop – Heaton! Living in South View West, I well remember the express trains flying along the track and the green electric trains which took us off on a Sunday to the coast, heading down the slope onto the platform, looking for anyone we knew in the crowd of folk on the platform for the train at around 10.20 with their sandwiches and flasks, buckets and spades heading off to meet join large groups of families and friends , all at their own special place on the beach. The long walk from Tynemouth Station, Cullercoats was always much closer to the beach! Our spot on the Long Sands opposite the church spire, shuggie boats, rock pooling and plodging. Buying hot water to make a cup of tea and always the treat of an ice cream cone. I remember slicing my finger open with my new penknife and trying to stop the bleeding before my mam saw it ( having been told not to open it on the train), the ticket office and those little cardboard tickets. Standing on Heaton Park Road bridge waiting to be engulfed in clouds of steam and smoke as the Flying Scotsman swept through heading off to Berwick and on to Edinburgh. Climbing over the fence opposite the house and cutting roses from a wild bush. Being unsure if you were allowed to cut through the Station if not taking the train. The one station that I was very much on edge was Heaton Station. A most dark and unsettling station at night. With it being in a cutting when a Deltic hauled train came past the sound would reverberate off the walls long after the train had passed. 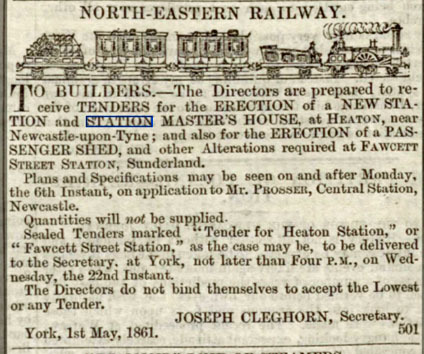 My wife to be worked on Shields Road and would travel by train to Monkseaton.At times if possible for her well being I would travel to Heaton Station and meet her there and, if it was time free from work I would drive up and meet her at her shop. 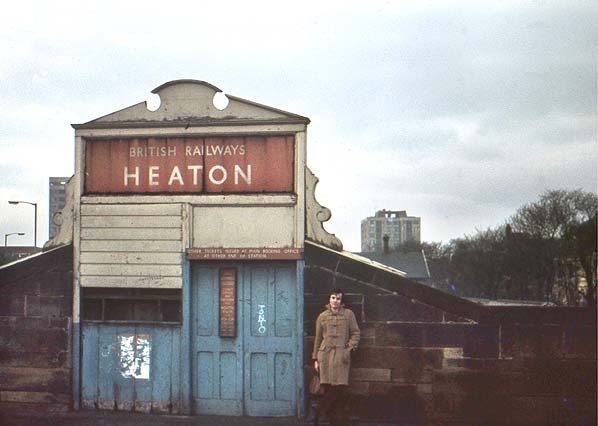 I worked for British Railways for many years and sometimes if passing through with the breakdown train Heaton Station never failed to generate a comment about the “lonelyness and isolation” of it. 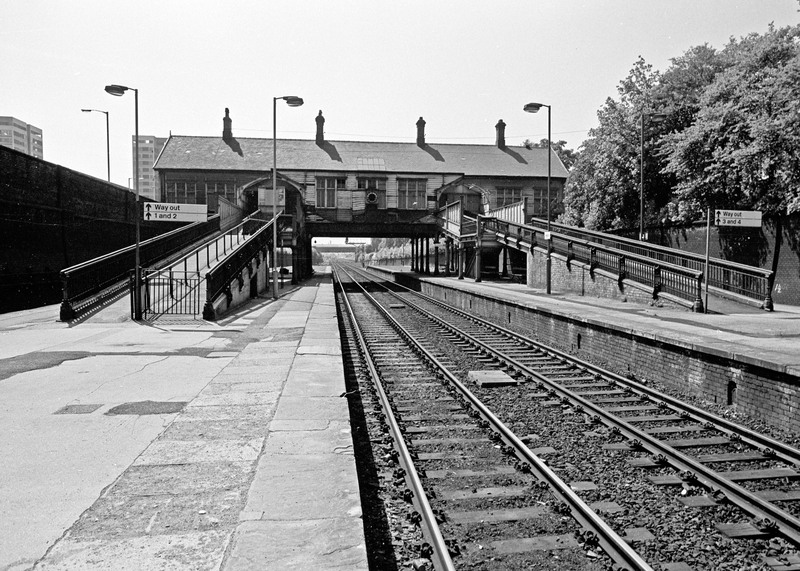 Chillingham Road Metro Station was another station which like Heaton had an unsettling aura about it. If I finished work from Heaton Depot at 10pm I never felt easy in that station so more often than not I used the car for work on that shift. Again I never felt safe in that station at night.